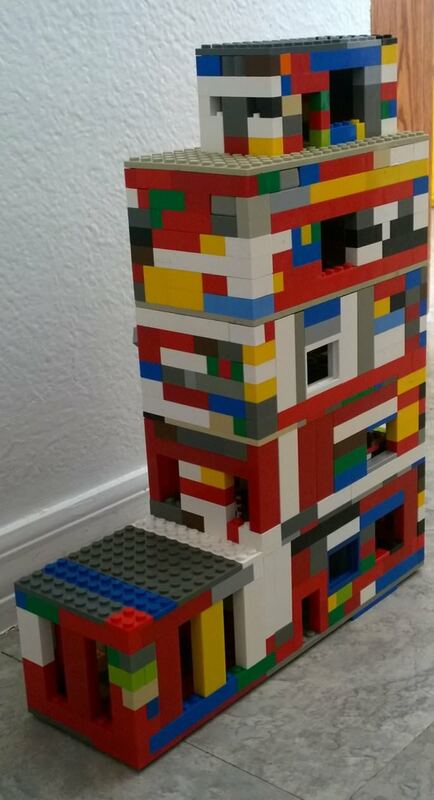 My son created an abandoned building out of Legos this morning. 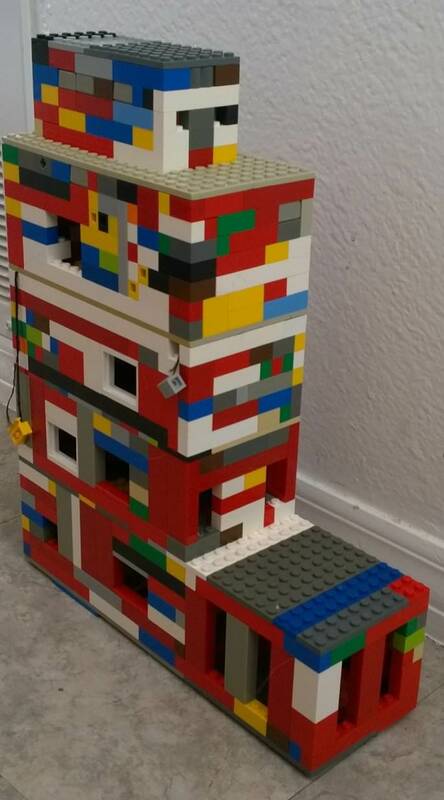 Inside, there are random small Legos scattered about, including window frames and such. There are several things hanging by threads as well- inspired by a television we saw suspended by the power cord once at an abandoned mill. He said it was inspired by the Attebury Grain Silo and attached mill in Wichita Falls, TX. I posted about this a few weeks ago.